Eugène spiraled downward into a spiritual crisis as he pondered his place in the world. Through God's grace, Eugène rediscovered his faith. 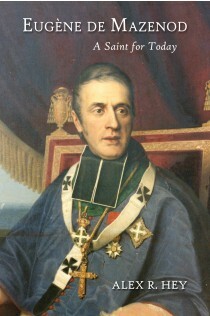 He founded the Missionary Oblates of Mary Immaculate and eventually became bishop of Marseilles. Saint Eugène refused to let the pains of his youth stop him from realizing God’s will in his life. Alex R. Hey has been featured on TheBatmanUniverse.net, Catholic365.com, EpicPew.com, and in The Eagle Democrat and The Argus Leader. His debut collection of poetry, Poems I Found in My Prayer Journals, can be found on Amazon.com. Find him online at alexrhey.com.